The scene: // Gray and drizzly. I planted seeds yesterday so a little rain (not too much) would be perfect today. Listening to: // My Hope and Determination playlist on Spotify. 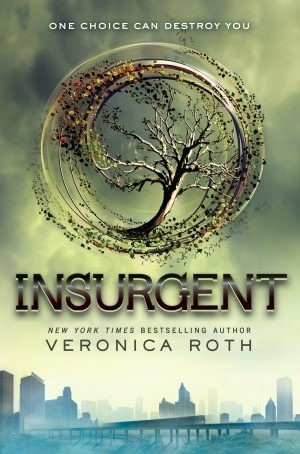 Reading: // I finally read Insurgent and Allegiant to finish out the trilogy by Veronica Roth. Divergent was my 2nd favorite recently-read book in May 2013. I was slow to get to the rest in part because some reviewers didn’t like Allegiant as much as the other two. I’ll add myself to that camp, so I’m glad I waited until the ebook price dropped to read these. Still, it’s an amazing world and I’m glad that I read the whole trilogy. Should I see the movies? Or, just let that world live on in my mind? Watching: // We enjoyed Departures, a Japanese film about an unemployed cello player who takes a job in the funeral profession. It’s funny, tender, and charming — not bad for a movie about death. Blogging about: // I shared what I learned from a Travel Photography workshop in the form of a SketchNote and comments on some of my England trip photos. In the slow recap of our England trip, I got to our favorite day of our whole trip — a visit to see a 200-year old steam engine in action, doing the job it was originally meant to do: Crofton Pumping Station. Participating in// Well, it looks like I won’t be doing Dewey’s Read-a-Thon this month, but if you’re free on Saturday, check it out! What I really need right now is a Review-a-Thon — fortunately, that’s coming up this weekend, too! I might get one done on Saturday and a few more on Sunday. I still haven’t read the trilogy, but I loved the movie Divergent. Enjoy! Have a great week…and thanks for sharing. I can’t give up the sun and happy weather for the Read-a-thon this time around either. I think I will try out your movie Departures. Sounds good. I’m having a lovely Spring day. I haven’t read the Divergent books yet, but thinking about seeing the movies. We planted a small garden yesterday, but we’re getting so much rain that I hope the plants don’t drown! We have a patio garden, so hopefully that will give them enough protection. Good luck with the review-a-thon! I liked the Divergent movie. It wasn’t as good as the book, but I still liked it. Not so much with the Insurgent movie, though. It was so different from the book that it made me angry. If I hadn’t read the book, then I would’ve liked the movie. I still need to read Allegiant. I’m planning to in the next month or so. I’ve been spoiled, so I hope I’ll like it since I know what’s coming.